Why is Portable Oxygen Concentrator better than Oxygen Tank? Oxygen tank and portable oxygen concentrator are essentially built to enable the same solution: provide medical therapy to patients that need a high concentration of oxygen. 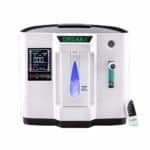 Unlimited oxygen, no need to refill- unlike oxygen tanks, who run out and require frequent replacement, portable oxygen concentrators create concentrated oxygen from the air itself, providing an unlimited amount of pure oxygen supply. Size– Oxygen tanks can be heavy and bulky and are not well designed to be carried around. However, portable oxygen concentrators are light, compact so you can take them with you anywhere outside and inside the house. Delivery method– oxygen tanks serve pure oxygen on a continuous flow delivery only, while portable oxygen concentrators vary between continuous flow to pulse-dose. You can read more about the difference between continuous flow and pulse-dose in this article. Safety– While portable oxygen machines generate pure oxygen from the air, oxygen tanks already contain a high percentage of oxygen, which increases the risk of fire in a case of an oxygen leak. Variety- there are tens of models of portable oxygen concentrators, so each oxygen user can find the right one for him/her: lightweight, long battery life, affordable etc. 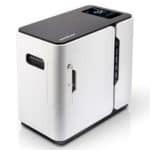 For all the reasons above, it is clear why more and more users are moving from oxygen tanks to portable oxygen concentrators. 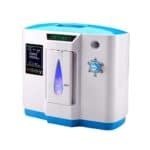 At portable-oxygen-concentrator.com , we can help you find a suitable portable oxygen concentrator according to your unique needs. Can You Take Portable Oxygen Concentrator on an Airplane? Search for a product, article, etc.